Congratulations to Mako Soccer Club's 06/07 Girls team for winning the 2016 Wellington Shootout!!! The Competitive Program is a great opportunity for players to experience a higher level of soccer than the Recreational Program, with more experienced coaches, team selection through a try-out process, and the opportunity to participate in tournaments. Players selected for Mako teams are committing to their team for one seasonal year (August 1 - July 31 of the following year). Additionally, players selected for Mako teams are also financially committing to their team for one seasonal year. Teams qualify for competition based on performance in the previous season or by their ability as a Team. There are several leagues within the region that Mako teams compete in. Regardless of which league a Mako team plays in there is an extensive amount of commitment and traveling involved. The seasonal year is divided into a Fall season and Spring season with half of the games at home at McChesnney Park, and the other half away (opponents home field). Mako, Florida State Premier League teams play their games at a neutral location). Mako Soccer club had a total of sixteen competitive teams competing in 2014/15 season, providing opportunities for girls and boys, ranging from U9 through U19, to improve their soccer skills. Many Mako teams have had a very successful season with many bringing home many trophies. Mako Teams, U18 Girls, U13 Girls, and U14 Boys made it as far as the Florida Youth Soccer Association (FYSA) State Cup, Round of Sixteen. This was a great accomplishment for the Club, Teams and their respective Coaches. While Competitive team head coaches are still volunteers, they are appointed via an application/selection process, with an understanding to providing players with training from more experienced and knowledgeable individuals. 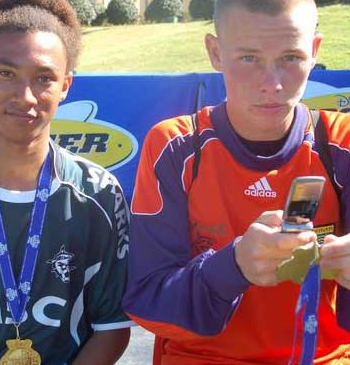 Some teams chose to additionally enhance training through the use of professional coaches which may increase the cost. If you are interested in coaching Comp soccer in Mako Soccer Club, please contact the club’s Director of Coaching (DoC) Stuart Duffin. The Competitive Program season is longer than that for Recreational soccer, typically running from early August through May. Teams schedule two or three 1-1/2-hour practices per week. Teams participate in regular league games at the beginning of August and play through Fall, followed by post league cup play in December. Some teams also opt to play in league play in the Spring [Brevard Youth Soccer League (BYSL)]. The number, and location of tournaments entered, is up to the individual team (typically 4 or 5), but there are plenty of options within the State of Florida. Typically, Tournaments will require an overnight stay which will make the experience even more memorable. There are tournaments which are local and require no overnight stays. Depending upon the team’s ability and level of play it will become beneficial for that team to travel out of state to tournaments. This will require permission to travel from FYSA. League games are again, primarily, played within the local area, but teams do accept that there can be requirements to travel further afield, for example to Homestead or possibly to Titusville. A league will have a typical 10 game league schedule that will have an equal split of home and away fixtures. For more information on Leagues please see Leagues below. In order to play in the competitive program, players must attend try-outs. Through a series of drills and games, coaches assess players' abilities, to ultimately select a competitive team roster. A second team may be formed, depending on the number of players attending try-outs showing suitable ability, and the availability of coaches. For more information on try-outs, please refer to our Try-out informational page. The registration fee for Mako Competitive Soccer is more expensive than recreational soccer. The team fees typically will range between $400-750 per player for the season. Team fees per player may vary from team to team depending on the trainer used. Uniforms are an additional expense to the player which can be ordered at the beginning of July each season. There are additional costs, which vary from team to team, to cover tournament registration and professional coaching services etc. Many teams organize fundraising events to help lower these costs. If you have questions about the Competitive Program, please contact the club's DoC: Stuart Duffin or Comp Coordinator: Shawn Chrisopherson. *** Open team coaching postions will be filled immediately with a coach if there are enough players to field a team. Spring 2011 BYSL and Tournament Champions!!! Congratulations to the Mako U-13 Boys for winning the BYSL 2011 U-13 Championship and for going underfeated with an 8-0-0 record in the BYSL Spring League adding another great accomplishment to a great season!!! 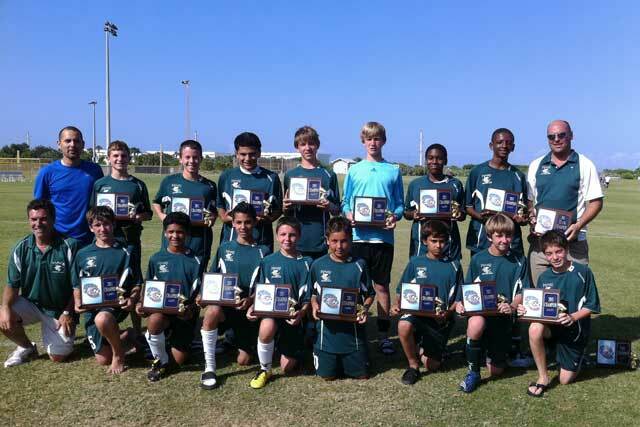 Congratulations to the Mako U-13 Boys for winning the 2011 Palm Bay Continental Division Tournament! It was a long, hard fought weekend culminating in pk's in the championship game. The team played and won together as a team and now have their sights set on several more championship titles in the next few weeks to top off a great year. Good luck! Congratulations to the Mako Sharks U-12 Girls Competitive team and Coach Jason and Coach Simon for capturing the league championship in the Brevard Youth Soccer League (BYSL). With an 8-0-1 record as well as an incredibly impressive 27 for vs. 8 against goal ratio our girls captured the title in ultra convincing form. This recent championship adds to the Mako Sharks U-12 Girls and Coach Jason Kirk successes as they captured the Championship for the prestigious Brevard Girls Labor Day Challenge. Way to go girls!!! Your club is looking forward to a fabulous year from you!!! The entire Mako Soccer Club is proud of their hard work and dedication. Please join with the Mako U-17 Boys in wishing Kyle Gumm a speedy recovery from recent surgery. Kyle has been spotted on the field getting back into physical training only four days post surgery. Kyle is an amazing young man, mature beyond his years. He has been playing goalkeeper for three years and is also the goalkeeper for Centennial High School. He is very focused when on the field and has an amazing future ahead of him. We are glad to have him back with his team of brothers. 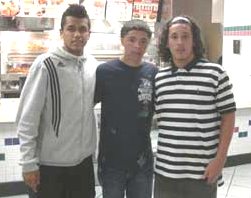 Julio Miranda # 11, center-mid for Mako United U-17 Boys, returned to Brazil last Thursday. 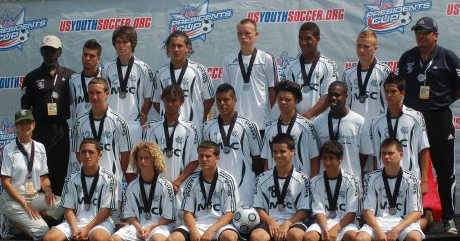 As a Mako player since age 14, Julio took home several titles and second places in many tournaments around the state of Florida as well as Southeast USA Champion and second place at National Cup level. This season he scored 29 goals and three recently during State Cup. As part of the creative triangle consisting of Johnathan Quintero and Diego Ramos his team will be looking to their other players that are ready for the challenge. Julio was also a star player for Centennial High scoring over 35 goals last season. We will miss Julio and wish him the best in Brazil! 2013 Girls' U18 IRSA CUP CHAMPIONS!!! 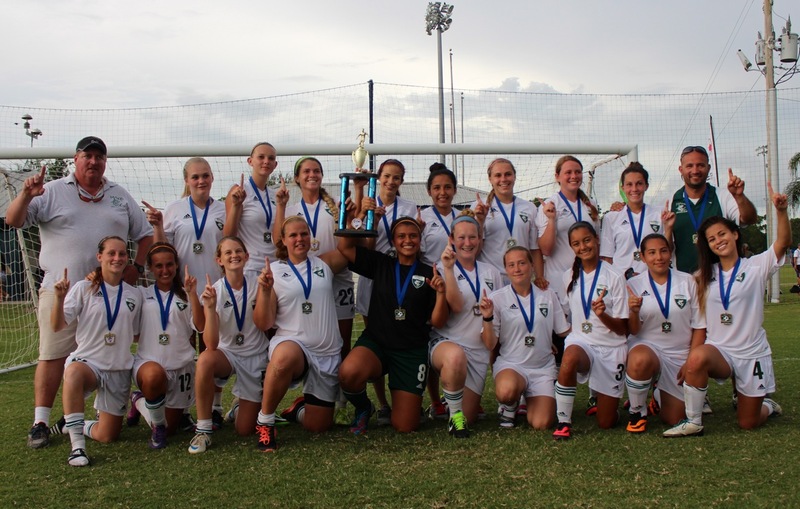 Congratulations to the Mako U-18 Girls team for winning the IRSA Cup. They finished went 4-0 and outscored their opponents 19-5. Way to go girls!!!!! 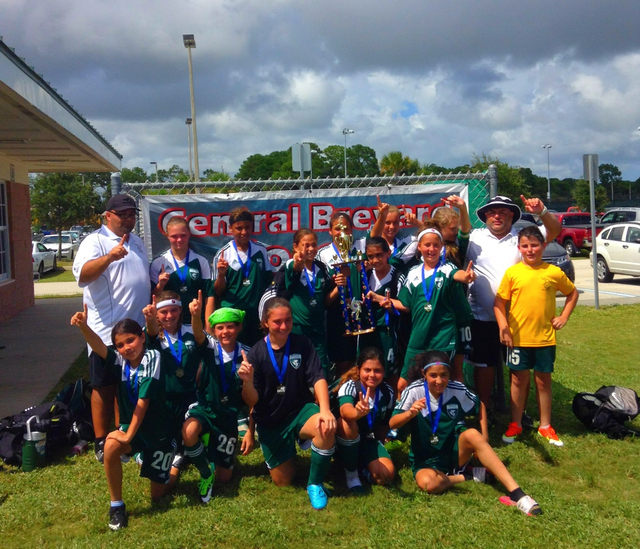 2013 Girls' U12 Brevard Hurricane Classic Champions!!! 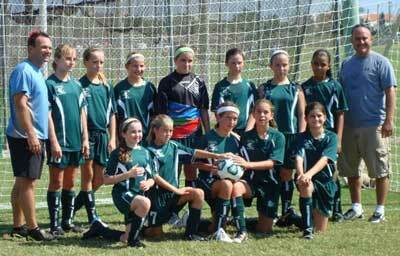 Congratulations to Mako Soccer Clubs' U-12 Girls for winning the 2013 Brevard Hurricane Classic!!! 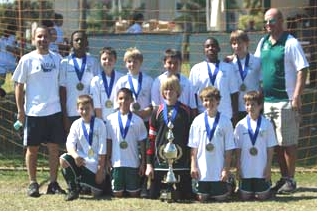 2013 Boys' U09 Brevard Hurricane Classic Champions!!! 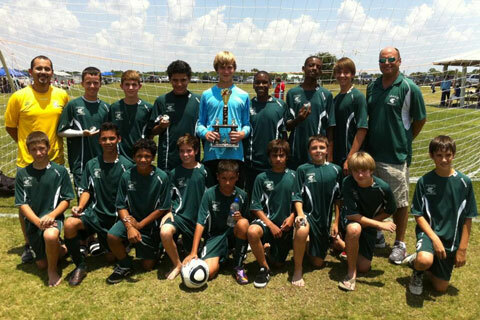 Congratulations to Mako Soccer Clubs' U-09 Boys for winning the 2013 Brevard Hurricane Classic!!! 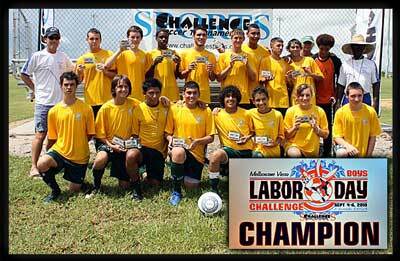 Congratulations to the Mako Sharks U-16 Boys and Coach Russ Walker for winning the Championship for the prestigious Brevard Labor Day Boys Challenge and going undefeated in all five games. Way to go Coach Russ and the Boys!!! You have trained hard and the results of your efforts show!! Mako U-13 Girls displayed a brilliant defensive performance in the group stages of the 2010 State Cup in Naples and booked their place in the Round of Sixteen. They topped their group with nine points from three games against physically strong opposition. Mako beat Largo 1:0 with the long range goal by midfielder Jordyn Smith. The afternoon saw Mako shut out Space Coast United 1:0 with the goal scored by Forward Mia Longabucco. Mako hit full stride in the last game of the weekend against RSL Florida playing some good soccer and running out 3:0 winners. Goals were from Nicolette Duffin, Teresa Cortes and Amanda Segnello. Coach Stuart Duffin was impressed with the entire squad, "they all played an important part in the success of the team, our defending as a team was really impressive". Mako U-13 Girls are ranked 5th in the state and were seeded in the group stages, winning the group means playing a second place team in the Round of Sixteen on May 9th. Mako Select U12 Boys SFUYSA Division 2 Champions! An incredible effort all season by the Mako Select U12 Boys results in the SFUYSA 2009-2010 Division 2 Championship!!! There is sure to be more great soccer from this team in the future. Congratulations to all the Players and Families!!! Anson Dorrance from the University of North Carolina is the winningest coach in the history of NCAA Women's soccer. 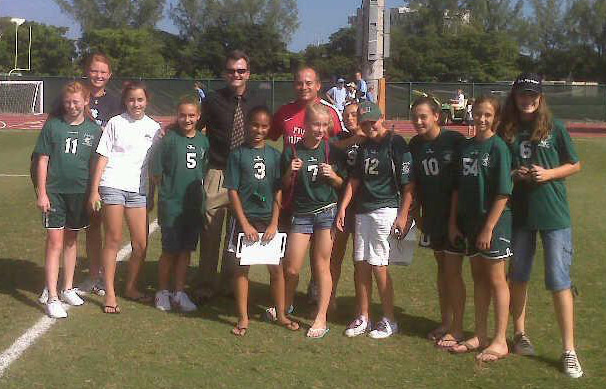 The U12 Girls Select Team went down to Miami to watch the UNC team play against UM and after the game Coach Dorrance was gracious enough to meet the Girls, talk with them and take a picture. This was a real treat from a true gentlemen and coaching legend and hopefully something the girls will never forget.